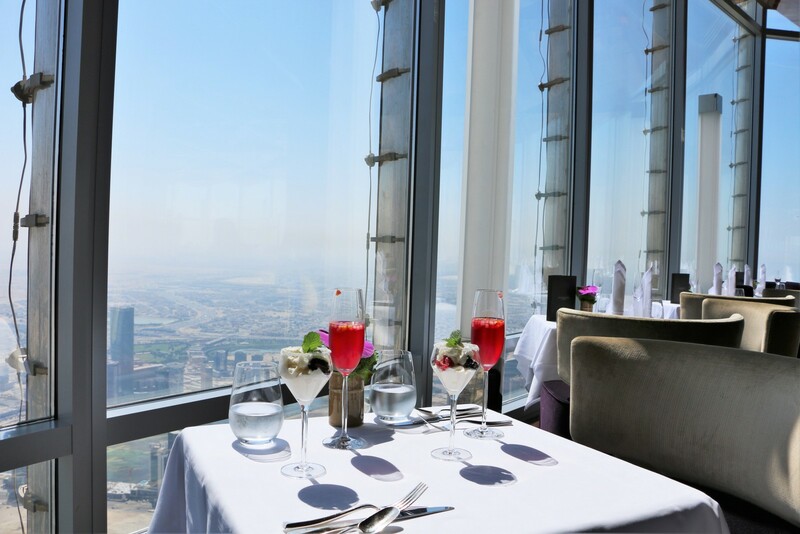 “The peak of fine dining in Dubai is not merely a figurative experience. 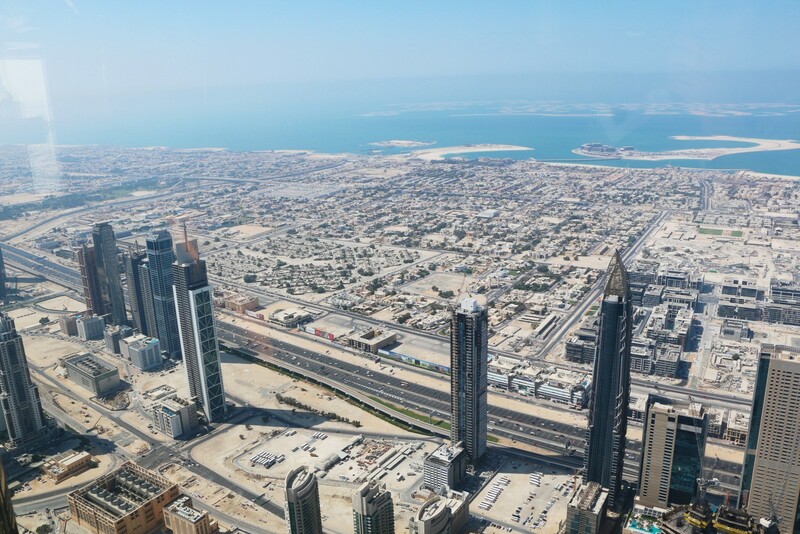 Rise 442 meters from the ground, At.mosphere sits on Level 122 of the ‘World’s Tallest Building’, complementing an exquisite array of gastronomical wonders with breathtaking views of the Arabian Gulf and a 360 degree view of Dubai! 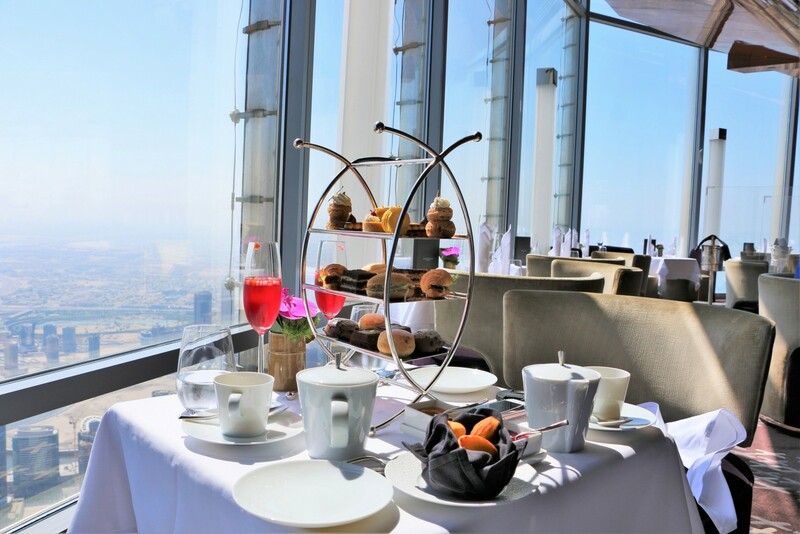 At.mosphere is located just 2 floors below the observatory deck and holds the ‘Guinness World Record’ for the ‘World’s Highest Restaurant’, sprawling over 1,030 square meters. Thus, this property undoubtedly offers a unique dining concept with an eye-catching innovative lounge. 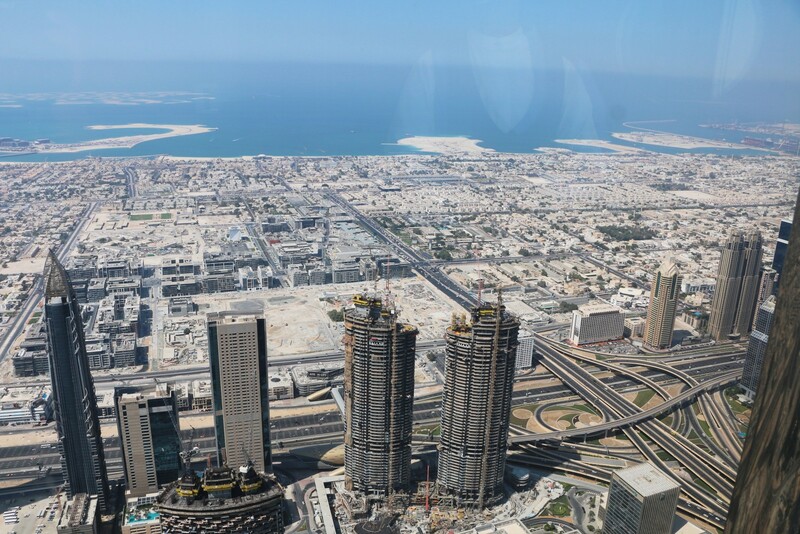 Customers can opt to dine at the restaurant or enjoy some drinks at the lounge overlooking the phenomenal ‘World’s Tallest Performing Fountains’. Ones who want to relax or are food connoisseurs – At.mosphere indeed guarantees an experience like no other as At.mosphere’s culinary team only sources and uses the highest quality produce from around the world, some of which have been grown exclusively for them. The attention to detail at this property is outstanding. The interiors and sofas have deep shades of amethyst and patterned velvets. 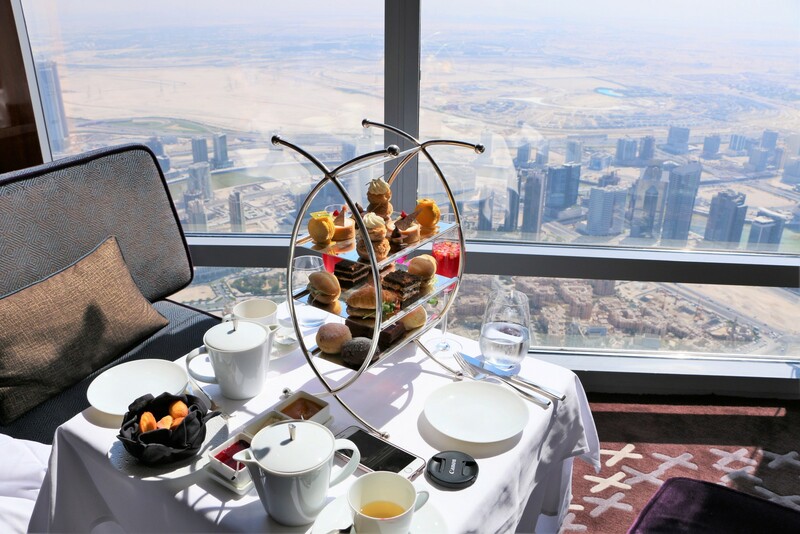 The serviettes placed on top of the tables are beautifully designed in the form of Burj Khalifa! The vibe of the restaurant changes depending on the time of day. 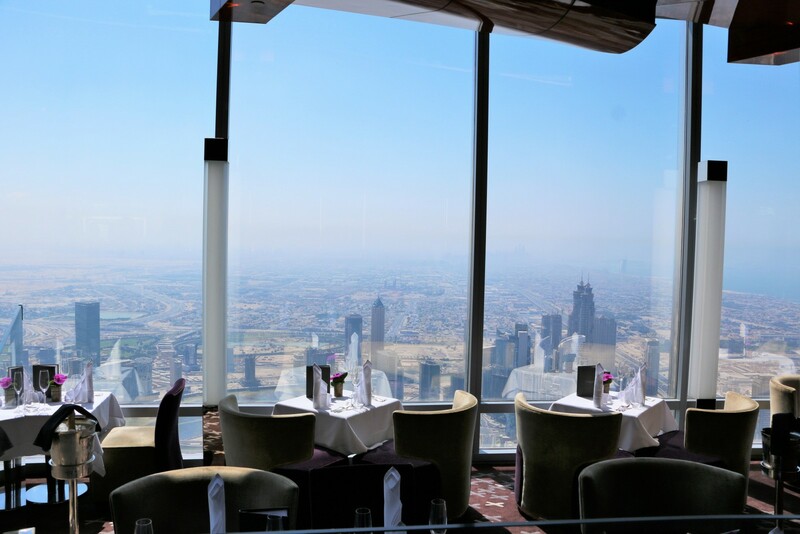 You will get a taste of how fancy At.mosphere is from the moment you step into Burj Khalifa. You first gain access through Armani Hotel after giving your car for valet at the entrance and will then be taken by a lift to another area that confirms your reservation (your credit card details are taken during reservation). Followed by getting access via a barrier that leads you to another lift to the 123rd floor! 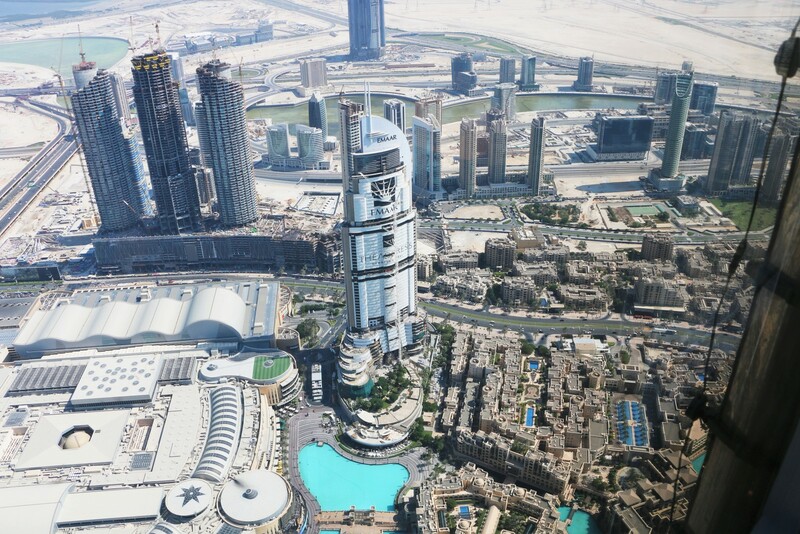 As soon as you step out of the lift, you will be appalled by the phenomenal view 100’s of meters above the ground. You will then have to go one level down to enter At.mosphere. Sipping some tea and nibbling on scones couldn’t have felt better! My sister, Jade D’Souza and I kicked off the #AfternoonTea with a “Jade Blossom” for myself (since I prefer floral tea) and a “Signature Black” tea for herself. Alongside, a berry mix with whipped cream and coconut shavings beautifully dabbed on the rim of a wine glass. After a while a beautifully presented Afternoon Tea Stand was brought to our table. The quantity of the savory and dessert items were same. There were miniature dishes – such as beef croissants and tuna, chicken and veg sandwiches equally sliced to perfection! The miniature desserts constituted of mille feuilles, panacottas, profiteroles, macarons, muffins, etc. My favourite was the chicken sandwich from the savory items and the salted caramel and toffee profiterole. 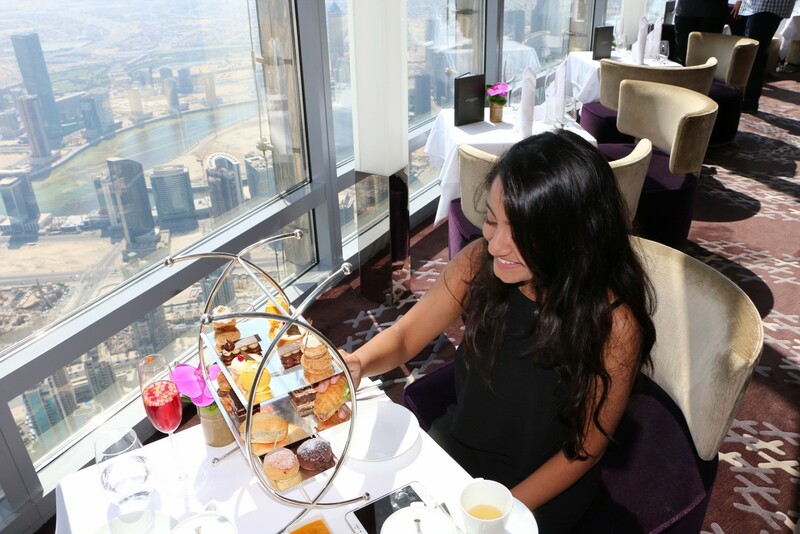 High Tea at At.mosphere is an experience you must have atleast once in your life! 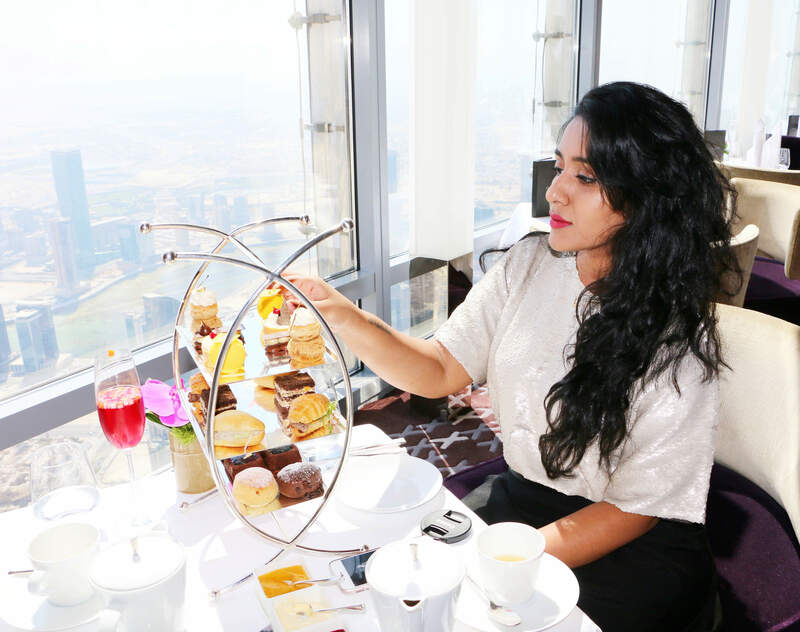 Afternoon Tea: To experience the best view of Dubai request a window table for AED 490 per person or AED 420 per person for a non-window table. 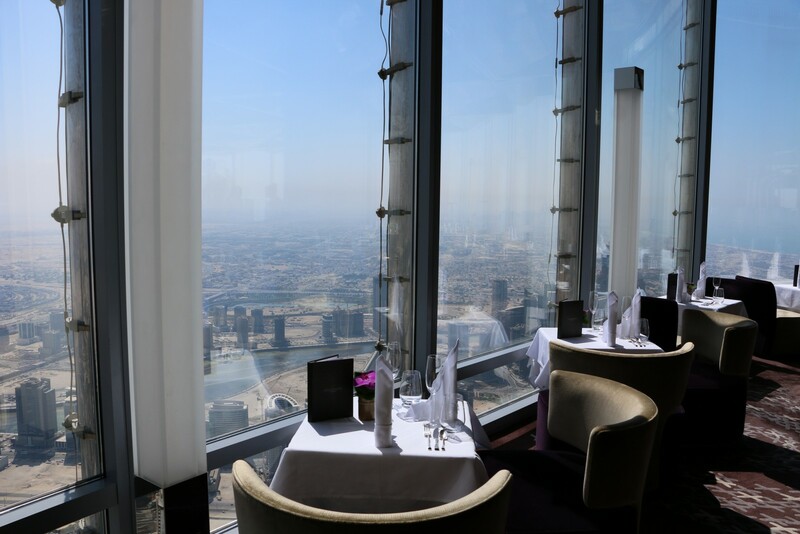 Lunch: To experience the best view of Dubai, request a window table; minimum spend of AED 500 per person. 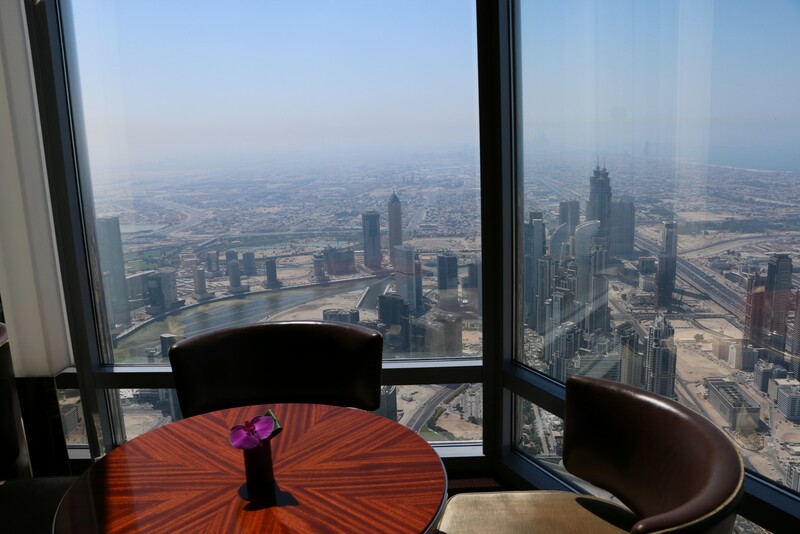 Dinner: To experience the best view of Dubai request a window table; minimum spend of AED 880 per person or AED 680 per person for a non-window table. 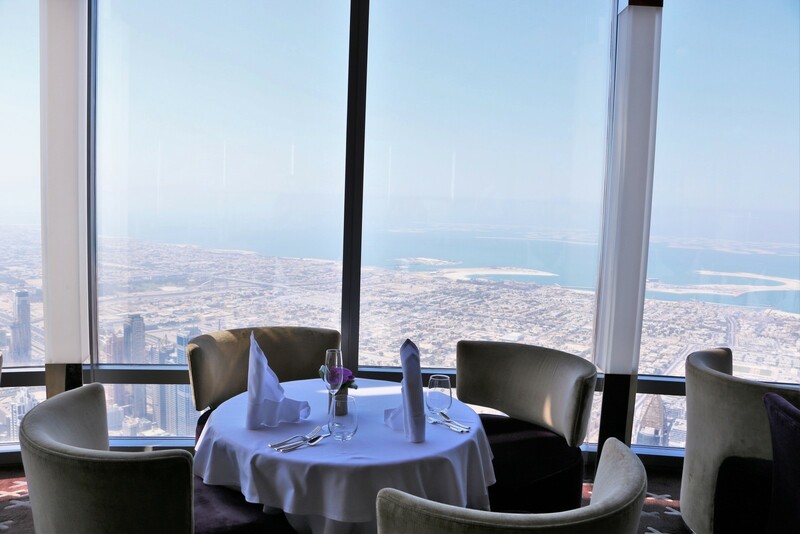 A La Carte Evening Menu: To experience the best view of Dubai request a window table; minimum spend of AED 320 per person or AED 250 per person for a non-window table.